UCF researchers are working with a start-up company to develop a new generation of an integrated micro-inverter grid-tied system, or “AC brick”. This AC brick is designed to be married to a photovoltaic (PV) panel, transforming it into a smart AC PV module. This smart AC module includes all features required for grid-interconnection, including grid-synchronization, current wave-shaping, protection, and anti-islanding, as well as data communication. 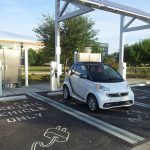 UCF researchers are also developing a new AC-microgrid architecture that would coordinate PV generation, battery systems, plug-in hybrid electric vehicles, secondary backup generation, in addition to smart loads. 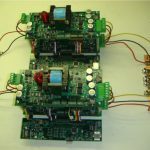 A power system incorporated on a single chip can significantly improve the efficiency, reduce the board area, and reduce the cost. In addition, the power density of the power supply can be increased dramatically, which will further reduce the cost and improve performance. 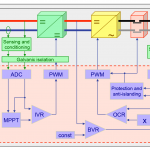 A power system incorporated on a single chip can significantly improve the efficiency, reduce circuit profile, and reduce the cost. In addition, the power density of the power supply can be increased dramatically, which will further reduce the cost and improve performance. UCF researchers are taking full advantage of the advent of digital control and new micro-controller chips. 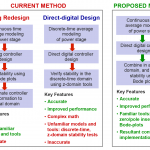 They have developed improved controller strategies that reduce the size of transformers and capacitors, leading to reduced cost and losses, in addition to improved performance and system reliability. Integrating multi-sources in order to deliver power to a single load is a technical challenge. At UCF, the team is exploring the design and development of multi-port power electronics systems for both grid-tied and stand-alone applications. UCF researchers have developed several bi-directional power electronic circuits for battery charging in solar, grid-tied systems. 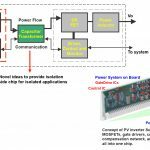 The battery charger uses Maximum Power Point Tracking (MPPT) to charge batteries or simply provide a DC output at up to 300W with a solar panel connected to its input. 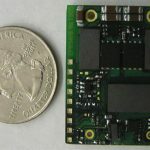 UCF researchers are developing a high power-density DC/DC converter for hybrid/electric vehicles. This research is to develop a 200 kW non-isolated converter, cooled with 100 degree C liquid and with power density over 8 kW/L. In order to achieve such high power density, the converter is comprised of eight fully interleaved modules. Each module is a completely independent bidirectional converter, utilizing cutting edge digital control. The converter features fully soft-switching operation, variable frequency control, fully interleaved operation, custom nanocrystalline inductors, and custom-designed IGBT modules with integrated spray cooling. With operating frequencies over 60 kHz, this converter has achieved high power-density and high efficiency, while operating at very high cooling temperatures. Interested in retaining our Power Electronics and Energy Conversion expertise? Contact Issa Batarseh at Issa.Batarseh@ucf.edu or 407-823-0185.